Coffee With Games: Black Ops 2 Wii U is Happening. *UPDATE #2: Call of Duty: Black Ops 2 has been confirmed to be releasing only for the Nintendo Wii U, and not any other Nintendo system. You can read the post and what an Activision representative said about the issue HERE. Call of Duty: Black Ops II for the Xbox 360 was shown at E3 this year during Microsoft's press conference, and a portable version was talked about for the PS Vita during Sony's press conference. What did Nintendo have to say/show about Black Ops 2 on the Wii, Wii U, or even the 3DS during their 2012 E3 press conference, and during E3 in general? Nothing. 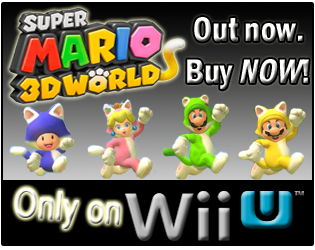 Does this mean that Call of Duty: Black Ops II won't be releasing for the Wii U? No, and I believe there is more than enough evidence that shows Black Ops 2 will release on the Wii U in the launch window, and it will also offer some great use of the Wii U's GamePad for controls. So, with the current official release date for Black Ops 2 being 11-13-12, November 13th, what is this "evidence" for Black Ops 2 releasing on the Wii U, probably as a launch title, later this year? Brew yourself some coffee, and let's take a look! When the Wii released in 2006, Call of Duty 3 was one of the many launch games for the system. The game was developed by Treyarch, and published by Activision. While it did not feature online multiplayer, or offline, Treyarch seemed to get the Wii Remote and Nunchuk controls implemented pretty well, considering it was a Wii launch title. In 2007, Call of Duty: Modern Warfare released for the PlayStation 3 and Xbox 360 consoles, but the game was not released for the Wii. Why? Modern Warfare was originally developed by Infinity Ward, and not Treyarch. Infinity Ward chose not to develop a Wii version, so Wii owners did not have a Call of Duty title in 2007. The evidence was first brewed in 2006, and has been pouring out since. Call of Duty: World at War was released on November 11, 2008 for the Wii, and the other consoles. The PS3 and 360 versions featured cooperative play and introduced the Nazi-zombies mode, and while the Wii version lacked those features, World at War Wii did introduce online multiplayer for up to 8 players. 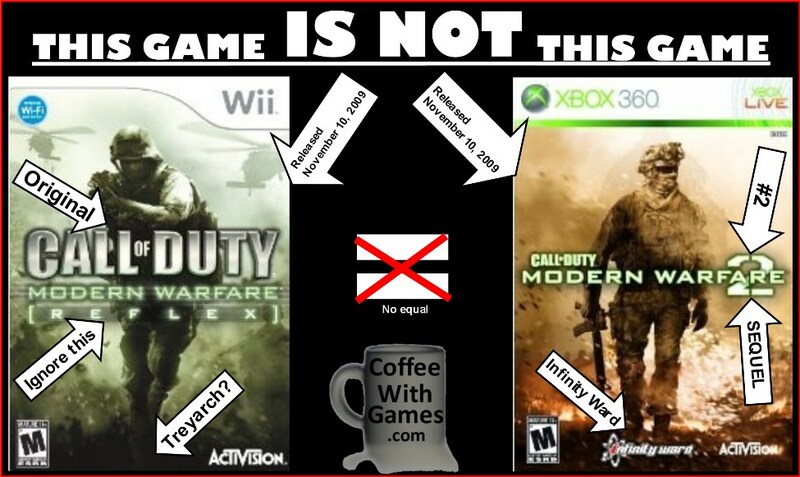 Fast-forward to November 2009, and while PC, PlayStation 3, and Xbox 360 gamers were able to purchase Call of Duty: Modern Warfare 2, Wii owners were not. 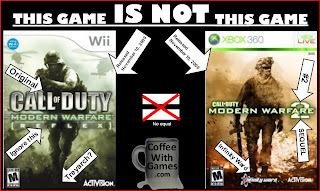 Wii owners would finally have the chance to purchase the original critically acclaimed Call of Duty: Modern Warfare though, now titled Call of Duty: Modern Warfare: Reflex which was ported to the Wii by a small team at Treyarch. 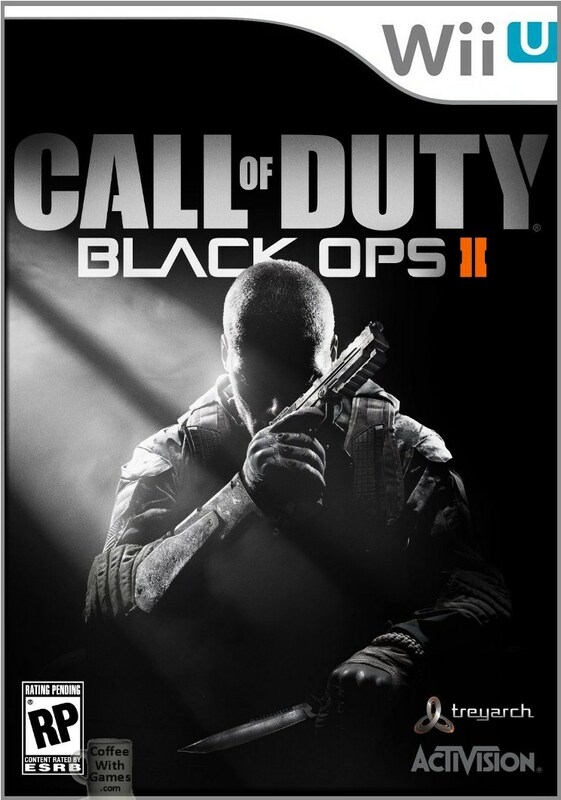 On November 9, 2010, Call of Duty: Black Ops released for the Nintendo Wii. Black Ops was developed by Treyarch and released for all the home consoles on that very same day. Call of Duty: Modern Warfare 3 released on November 8, 2011 and was developed with Infinity Ward leading development for the PS3, Xbox 360, and PC versions, as well as Sledgehammer Games and a few other developers helping with development. At the same time the "HD" console versions were being developed, Call of Duty: Modern Warfare 3 was being ported to the Wii by a team at Treyarch, and released on November 8, 2011 for the Wii along with the other console versions. So, what do all the Call of Duty games have in common that were released for the Wii? The common connection is the key piece of evidence as to why I think Call of Duty: Black Ops II will be on the Wii U this holiday season, and probably offer some of the best uses of the Wii U's GamePad for a FPS title as well. The key piece of evidence and common connection is Treyarch. Treyarch has proven to be a very capable developer on the Wii, not only by getting the Call of Duty games to the console, but by improving the series with almost every new Call of Duty game released. World at War had the first online multiplayer for the series, and Black Ops introduced the Nazi-zombies mode online. Voice chat is now standard for the newer Call of Duty Wii games, as are fully customizable control settings. Wii Remote & Nunchuk controls as options in Black Ops 2. Call of Duty: Black Ops 2 is being developed by Treyarch, and knowing the history that Treyarch has with developing all the Call of Duty games for the Wii, starting with Call of Duty 3 being a Wii launch title, I believe Call of Duty: Black Ops II is happening for the Wii U.
I will be looking for Nintendo and Activision to confirm this before the Wii U launches though, because if the Wii U does not get the next title from the biggest FPS series in gaming right now, that would be very concerning to me for the Wii U moving forward. Personally though, if Black Ops 2 is announced for the Wii U, it would probably become an instant day one purchase for me if online multiplayer is confirmed, because I appreciate the work Treyarch has done getting the Call of Duty games on the Wii, and making them not just run well, but also making them a lot of fun. *UPDATE: A reader on GoNintendo.com, majestik12, commented on this story linked there, asking why some comments from Treyarch weren't mentioned in this piece. While the only comments from Activision and Treyarch I had seen "officially" on Black Ops II Wii U are the typical PR, "We don't have anything to say about that." lines when questioned about the game. Majestik12 also mentioned a magazine scan from a Nintendo related magazine that was leaked just over a week ago now that "confirms", at least until the magazine copy is released and it's either proven real, or proven real fake, that Black Ops II will be releasing for the Wii U this November. You can see the scan and story on it HERE. 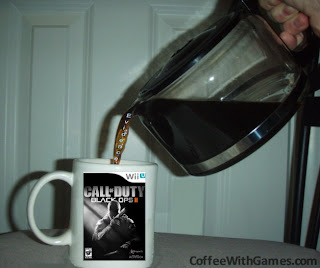 Call of Duty Black Ops 2 Heading For Wii U. Agree, or disagree? Do you think that based on Treyarch's history with the Call of Duty games on the Wii, that Call of Duty: Black Ops II will be in the launch window for the Wii U? 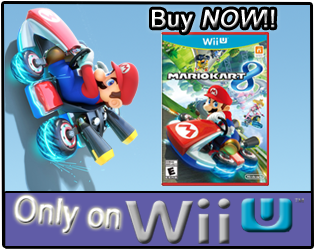 If Nintendo were to somehow fail in getting Black Ops II on the Wii U, would that make you concerned for future third party support of the Wii U console? As you well know, I'm no fan of the Call of Duty games, but that said I think they're essential stuff for the Wii U - these games are system sellers. I agree that Treyarch has a proven history on Nintendo hardware (I liked Quantum of Solace), and I think they'll do a fine job with using the Wii U's hardware. I wouldn't expect too much from the touch screen though - I reckon it'll be used as a radar, and not much more. Treyarch also tends to play things straight. "I wouldn't expect too much from the touch screen though - I reckon it'll be used as a radar, and not much more." I'm actually wondering if they'll use the screen like the sniper scope, as demonstrated in the ZombiU trailer, or even for providing an "aerial view" of some sort when controlling drones/planes. I can definitely see the radar though, as I think that will be the default use in most games, radar/inventory screen. Thanks for the comment/feedback! As for Quantum of Solace, I actually did a data report on it in 2010, here: http://www.coffeewithgames.com/2010/11/wiis-other-daniel-craig-james-bond-game.html the image is below as well. I would imagine Treyarch would have Wii Remote and Nunchuk controls, as well as the Wii U GamePad controls. Being that they know how to implement the Wii Remote and Nunchuk controls, and they know how popular those have been in the Wii games, I would imagine they would give both options...at least, I'm hoping they will. I have no doubt it's coming. If it were to not come, I would be very worried because Treyarch was one of if not THE best 3rd party supporters on the Wii. That said, I would expect nothing more than minimap and/or an overview for Strike Force missions. I also don't think they would use the Wii U pad for sniping, it's essentially a gimmick and that's not the way Treyarch takes things. Knowing Treyarch's history on the Wii, is probably the biggest reason I'm excited to see what they will do on the system with the controller. I HOPE they keep the Wii Remote and Nunchuk controls as one option, but also hope to see some interesting use with the GamePad. Are you a fan of any particular Call of Duty Wii game, or just the series in general? CoD is a PS360 game based on 2004/2005 hardware. You can't expect much from such a FPS. "CoD is a PS360 game based on 2004/2005 hardware." While Call of Duty 3 was originally released on the Wii and PS3, I believe it was Call of Duty 2 that first released on the Xbox 360. I'm not sure I follow the "You can't expect much from such a FPS." Are you talking just graphically? There is no doubt that, if they make a wii u version(and it would be a big surprise if they didnt) that they would implementthe wiimote/nunchuck. also, i think theyll use the touchscreen as either an easy-to-access option screen, a map, or , in the case of killstreaks, where to put them. "also, i think theyll use the touchscreen as either an easy-to-access option screen, a map, or , in the case of killstreaks, where to put them." I started playing Modern Warfare 3 again a few days ago (Wii version), and I think the killstreaks being implemented with the touchscreen would be an interesting use of it. "I know some of you will think that is kind of nooby..."
I know it's all personal preference. I actually have Black Ops 1 on my PS3, and go back and forth between the consoles and have enjoyed FPS games on both systems. I personally like the interaction and accuracy of the motion controls that Treyarch has done so far with the Wii COD games, and I hope they don't go away entirely.